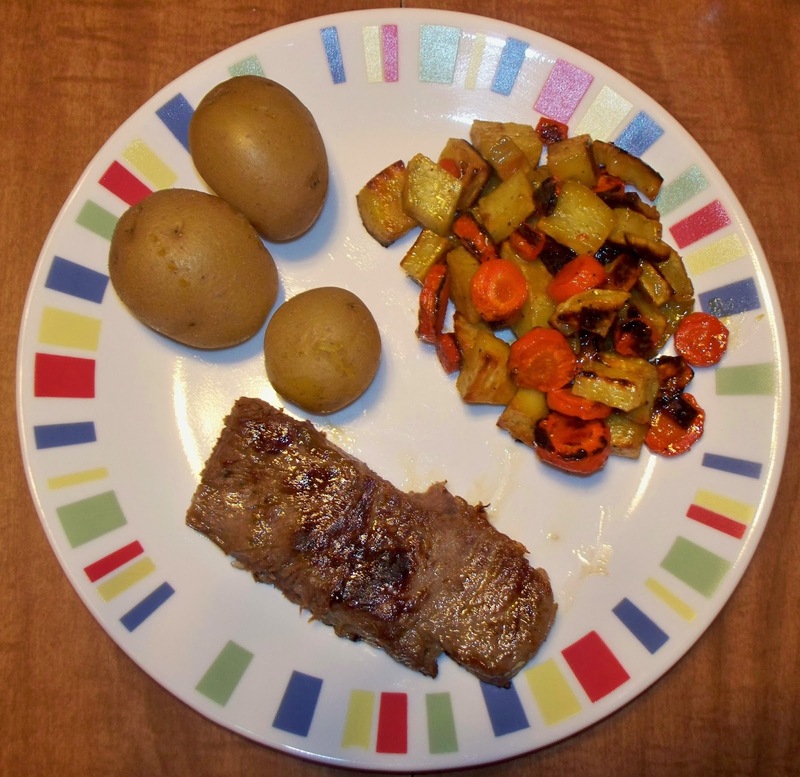 boiled little potatoes and grilled Delmonico steak. Preheat oven to 425 degrees. Coat yams and carrots with olive oil and pepper on a baking sheet. Roast in oven for 15 minutes, then stir the yams and carrots and flip them. Cook 15 minutes more. Combine maple syrup, mustard and garlic powder in a small bowl. Drizzle this mixture over potatoes and vegetables and mix to coat well.